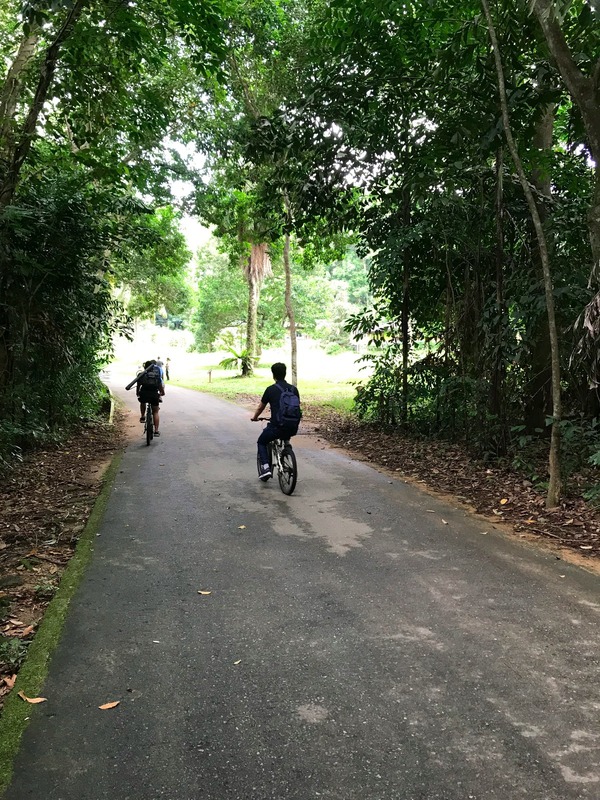 As one of the remaining two kampongs in Singapore, the island of Pulau Ubin is just a 15-minute boat ride away from the mainland. Whether you’re a nature lover or thrill seeker, the island is bursting with hidden treasures just waiting to be uncovered – from the abundant wildlife to mountainous bike trails and the steep, rocky Puaka Hill. At the start of December 2017, a team of Jewel Paymentech employees took a break from the daily grind to tackle an island looping cycling challenge. By immersing themselves in this unique environment, they were able to gather new perspectives and refresh their inspiration for innovation. Gain a fresh perspective – A change of scenery can make a huge difference when brainstorming new ideas – a new place can refresh the mind. Create a networking dynamic – People who wouldn’t normally have the opportunity to work together can productively collaborate. Cultivate a bonding experience – Being away from the office environment is a shared experience that creates a stronger team. The thoughts, ideas and opinions of our teams are what makes Jewel Paymentech tick, which is why we strive to create as many opportunities for our people to share their point of view, completely unfiltered. 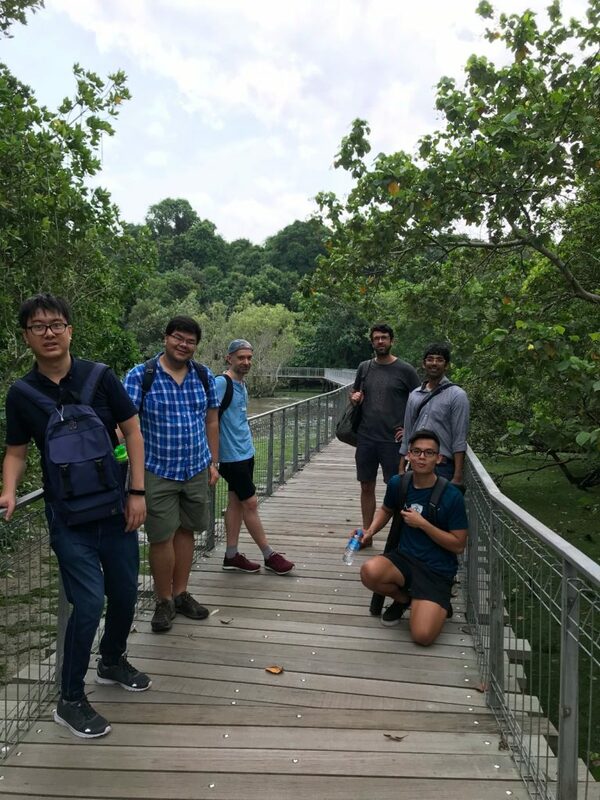 Our journey to Pulau Ubin created the opportunity to come together in a more relaxed environment, so we could get to know each other beyond our job titles. Parveen spoke at the MasterCard AP Risk Leadership Conference this week. The conversation covered the eCommerce landscape in the region, and the challenges with staying competitive in market while maintaining compliance. 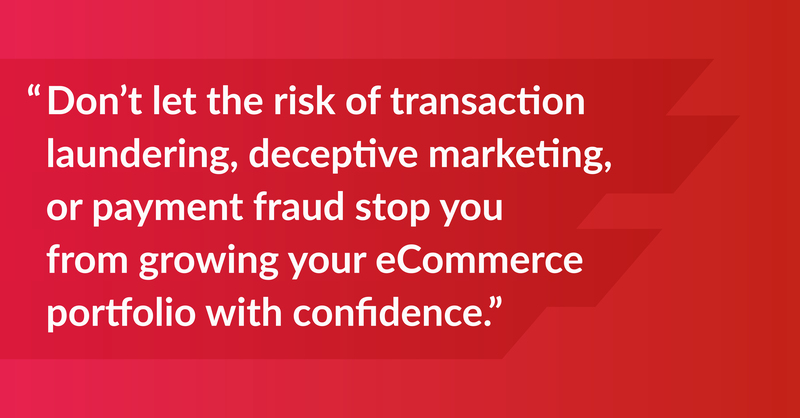 Parveen shared her observations that merchant acquirers in the region have been hesitant to grow their eCommerce merchant portfolios, due to the range of risks it brings to table – such as transaction laundering, deceptive marketing, bust out attacks and payment fraud. 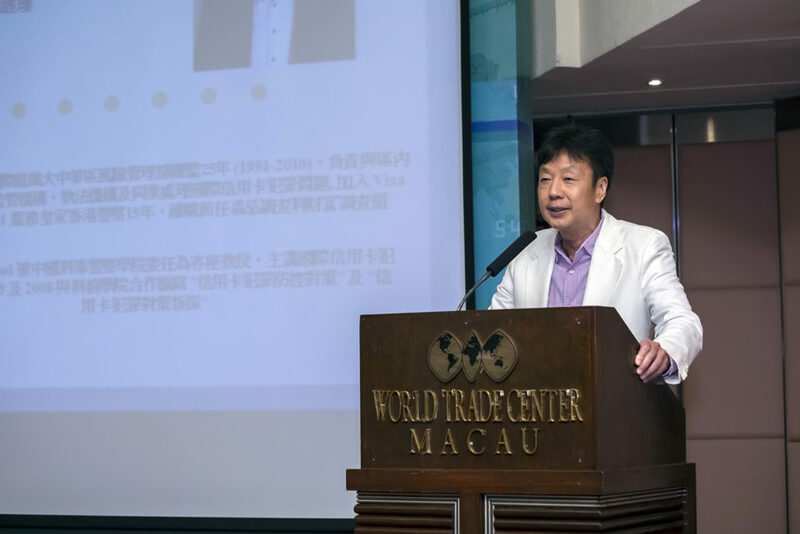 The audience heard about how the use of the right technology such as AI, predictive analytics and web crawling can enable continuous monitoring of merchant’s websites, social media pages and transaction patterns. This allows acquirers to proactively identify changes to merchant risk levels early, and take proactive mitigating actions to control their risk exposure. With the adoption of the right risk tech, acquirers and payment facilitators can confidently and rapidly grow their eCommerce merchant portfolio and bottom line, improve consumer online shopping experience while minimising the risk. 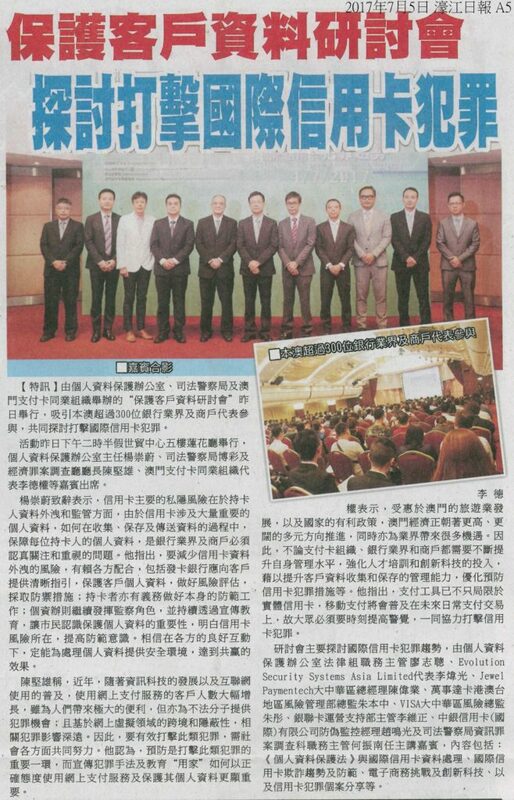 Organized by the Office for Personal Data Protection (GPDP)，Policia Judiciaria & Card Payment Associations of Macao, the Jewel Paymentech team was invited to speak and shared with industry leaders the challenges in eCommerce and innovative technologies in resolving risk issues.